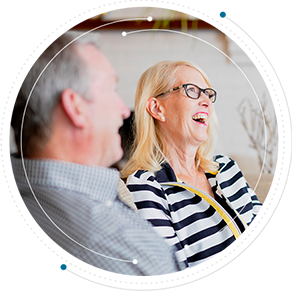 Helping our clients build a safer financial future isn’t all we do at Saturn Wealth. Our team takes that same dedication to service and support and applies it to helping our local communities the best we can. Here you can see and read about our efforts to enrich the lives of those around us, bringing the same level of care and commitment from our office to causes that make a difference for our community. If you have any questions or want to lend a hand, feel free to contact our office! 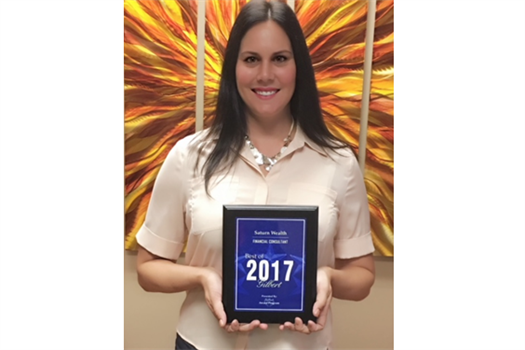 In January 2018, Saturn Wealth was recognized by the City of Gilbert as one of the best financial consultants in the city for 2017. Our team had quite a blast helping to make a difference for countless families in and around our valley! We reached out to the United Food Bank and spent some time helping to sort, prep and box food donations to send throughout their distribution network. 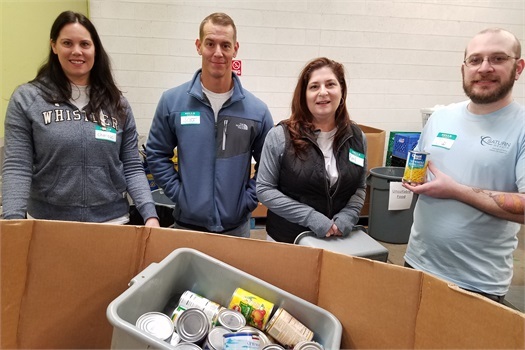 While it was rewarding enough just to know we took action to help, United Food Bank took the time to show us how our efforts truly made a difference. Feel like making a difference, too? Read up on their organization and get signed up at www.unitedfoodbank.org. 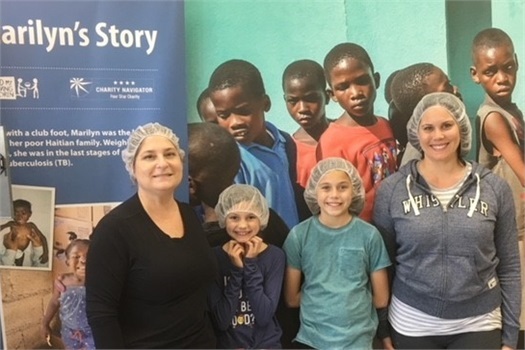 The Saturn Wealth team had an amazing time volunteering with Feed My Starving Children, where we spent the day hand-packaging nutritious meals for children of all ages worldwide. Just in one day, our group packed a total of 202 boxes, which is equivalent to 43,632 meals and a total of 119 kids who will be fed for a whole year. This was an extremely rewarding experience, and like many other organizations, FMSC depends on volunteers in the community and wouldn't be able to package over 300 million meals a year without their support. If you would like to be a part of an upcoming packing event, please visit www.fmsc.org for more details. 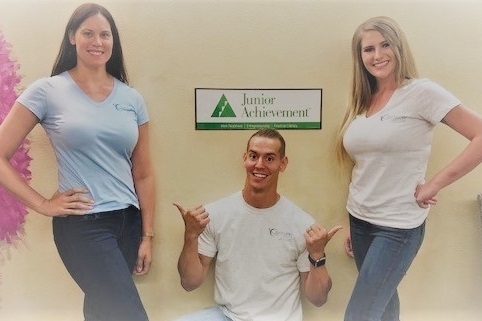 Our team at Saturn Wealth had an amazing experience volunteering at Junior Achievement of Arizona. We spent our morning packaging school kits and putting together lesson plans for students who would be attending the JA program in the future where they learn not only the importance of money management, workforce readiness and entrepreneurial thinking but, most importantly, the tools to succeed. We’re always trying to stay active in our community here at Saturn Wealth, and one thing that really lead us to Junior Achievement was a common belief: It’s our responsibility to empower future generations — to equip them with the skills and knowledge to be successful and pursue their dreams. These are our kids, grandchildren, future colleagues and community leaders. The success of our economy depends on their preparedness. We were so glad to be a part of something so rewarding, and we will certainly be volunteering at Junior Achievement in the future! 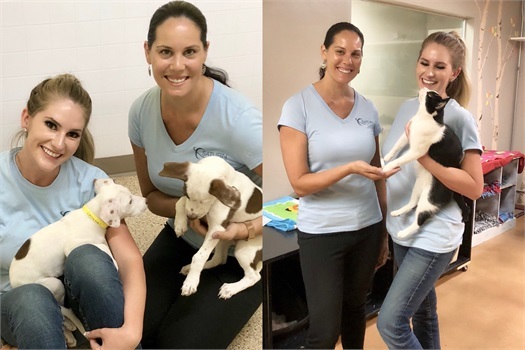 Charisse Mackenzie and Kayla Wheeler had a blast volunteering with Lost Our Home Pet Rescue, founded in 2008 by Jodi Polanski, who was a local mortgage banker during the financial crisis of 2007-2008. When the housing market took a turn for the worse, and pets were being abandoned in foreclosed homes without food or water, she decided to do something about it and founded the Lost Our Home Pet Rescue. Since then, they have grown substantially to become an integral part of the community. We’re always trying to do our part and stay involved in our community, and the Lost Our Home Pet Rescue was not only a great experience, but it was unique. Not only was the story of where they came from and how they started extremely powerful, but the staff and animals were so loving. For more information on Lost Our Home, please visit www.lostourhome.org. Charisse Mackenzie was “jelly” she missed our volunteer event at the Open Arms Care Center in the heart of Gilbert, Arizona. Open Arms Care Center started in 2001 and is the only nonprofit organization of its kind in Gilbert. They not only help Gilbert families and residences in need with a food bank but also a complete clothing closet open to families and individuals who have fallen on hard times — divorce, unemployment, sickness or possibly one hardship away from becoming homeless. 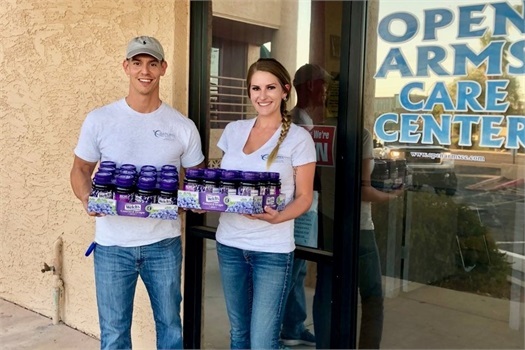 Just like many nonprofit organizations, Open Arms Care Center is 100 percent volunteer-driven, and they rely heavily on the Gilbert community for support. Most of the food and clothing they receive comes from local churches, food banks, schools and donors just like you. This was a truly amazing experience, and we will be back to volunteer again in the future. From our family to yours, if you are in the Gilbert area, we highly recommend volunteering a few hours at Open Arms Care Center, or even donating some peanut butter and jelly or other nonperishable food items. For more information on Open Arms Care Center, please visit www.openarmscc.com. 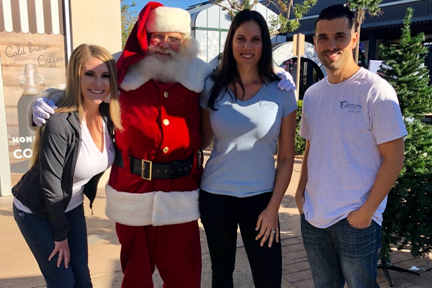 Saturn Wealth had an amazing time teaming up with The Salvation Army where we volunteered with the Christmas Angel Program at San Tan Mall right here in the heart of Gilbert, Arizona. The Salvation Army believes that every child deserves to know the joy of a new toy at Christmas and has been providing children in need with Christmas smiles for over 30 years. Saturn Wealth felt blessed to be a part of something so rewarding, and we plan on including The Salvation Army in our annual Christmas traditions.